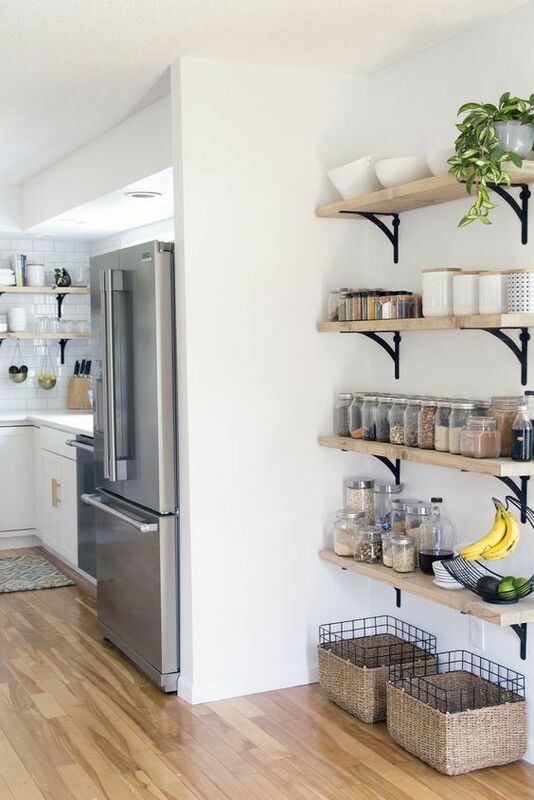 Because so many families do a great deal of their living in the kitchen, it is often the default location in the house for many items that really don’t belong there. 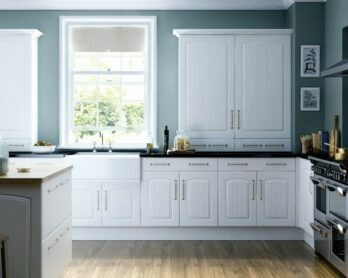 Re-evaluate items currently in the kitchen that aren’t used in food preparation and decide whether they would fit better in another room. 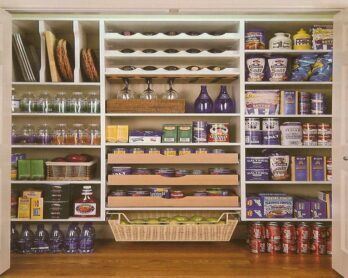 The most common-sense organizational tip in the kitchen is to store items with their functional counterparts. 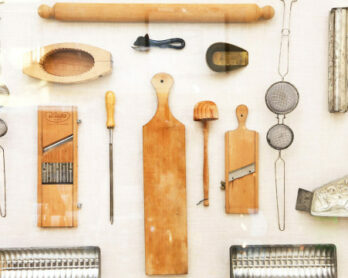 Keep the non-stick cooking spray near the frying pans, the cutting board near the knives, and the sponge near the cleaning spray. Don’t worry about whether the organizational system makes sense to anyone else. 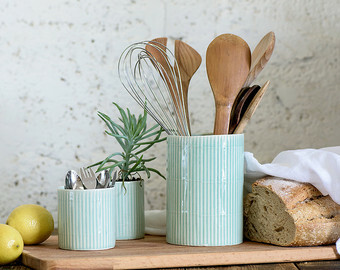 Items that you use together most often should be stored together. 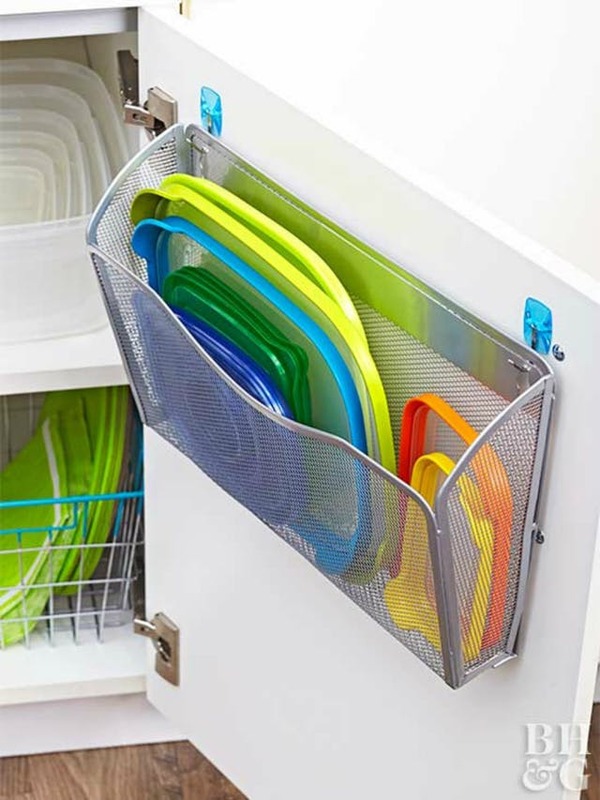 It may seem counter-intuitive, but storing Tupperware lids and their containers separately is a great way to organize kitchen cupboards. 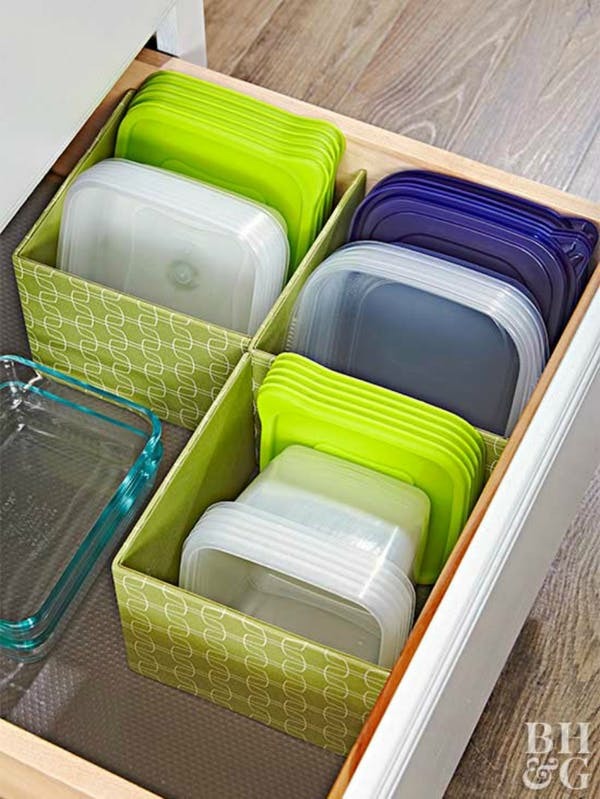 Storing each Tupperware container with the lid attached wastes valuable kitchen space, and the lids inevitably become separated from their containers anyway. 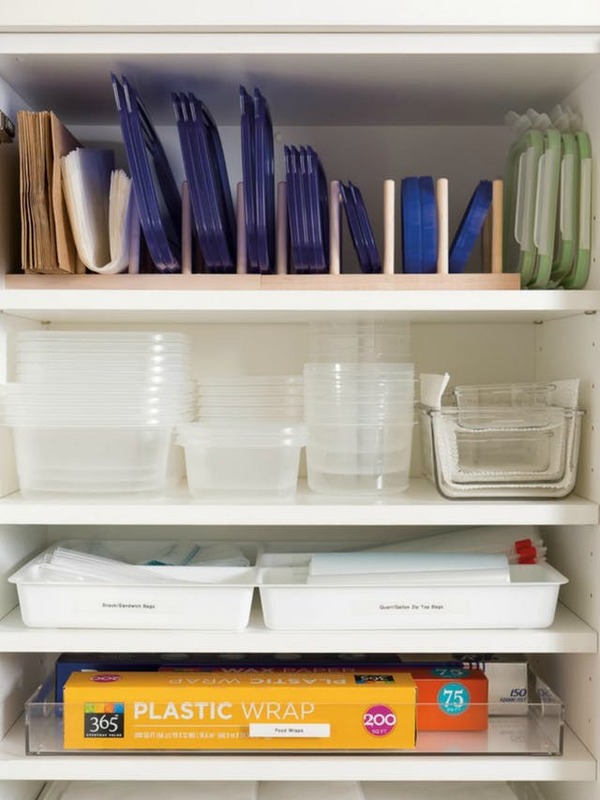 Line up lids vertically (like books on a bookshelf) and stack Tupperware containers nearby. 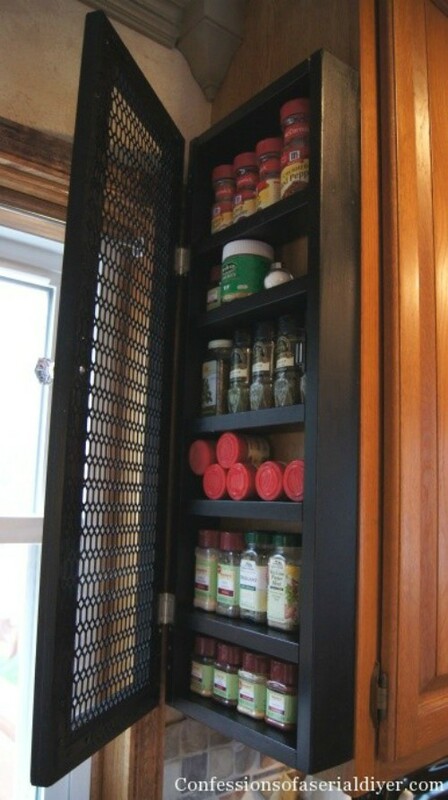 The spice cabinet is the messiest, most dysfunctional cupboard in most kitchens. 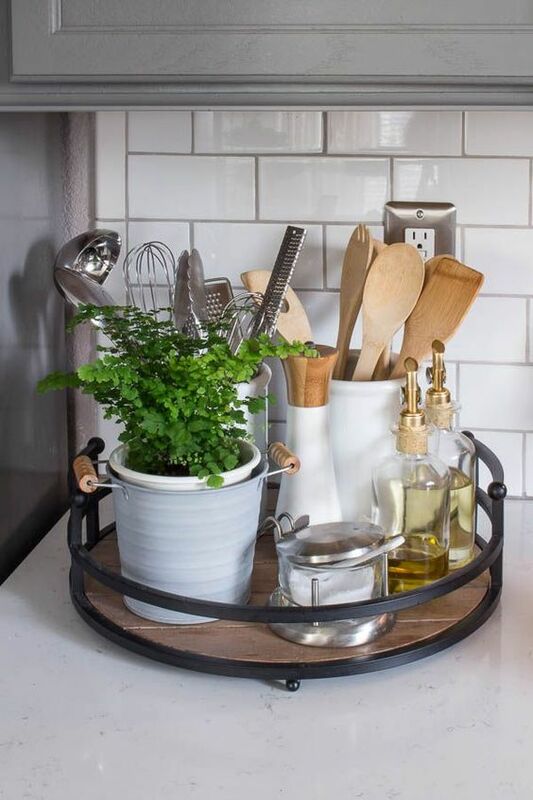 To solve this problem, buy a revolving counter top spice rack or store spices in a shallow plastic bin and label the tops of the lids with masking tape. 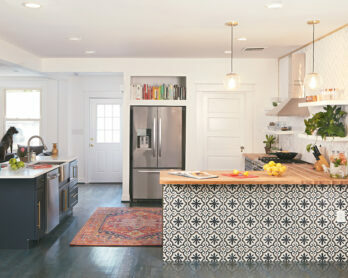 This way, the entire bin can be removed from the pantry and the names of every spice can be read without removing anything. 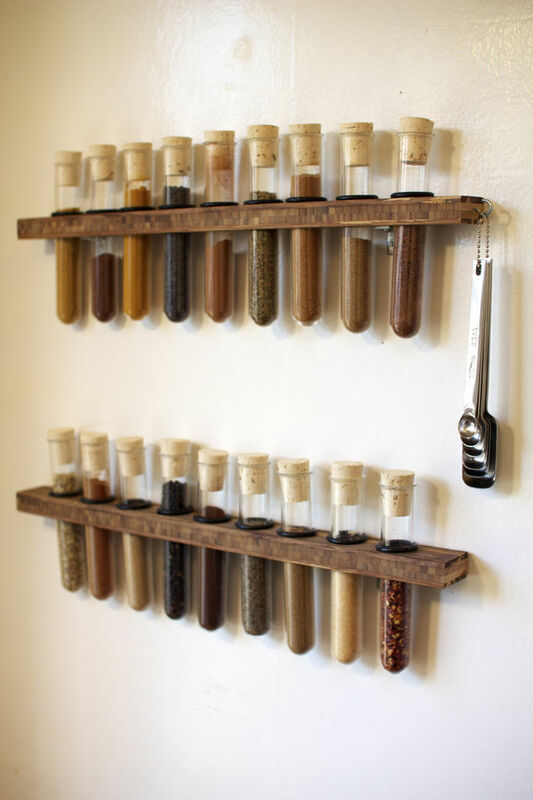 Spices stay organized when a cook doesn’t have to rifle through them all every time he or she is looking for a particular spice. 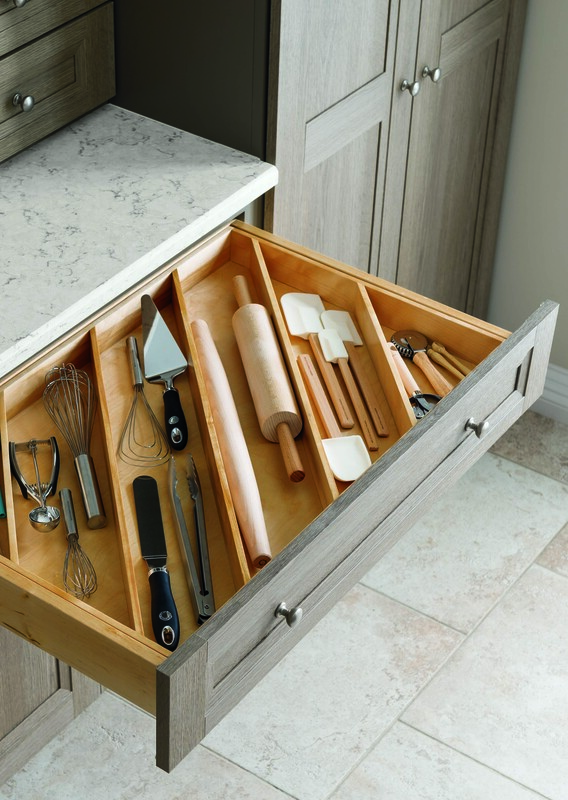 Most people have all their kitchen utensils like serving spoons, pasta forks, spatulas, mixing spoons, and ladles lying haphazardly in a drawer they must search through each meal time. 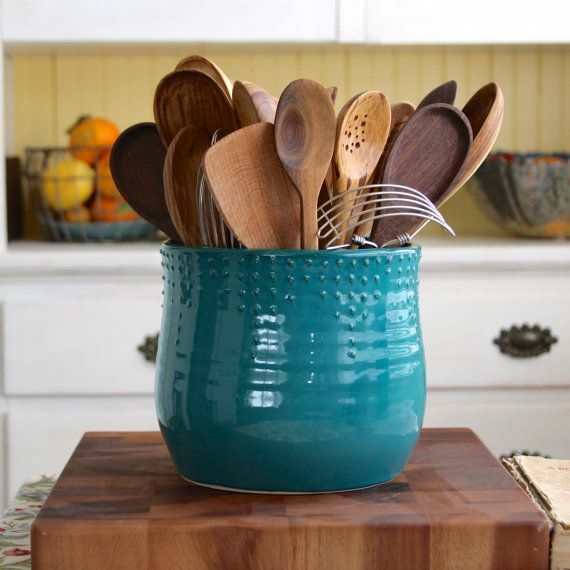 It’s okay to leave infrequently-used utensils in the drawer. 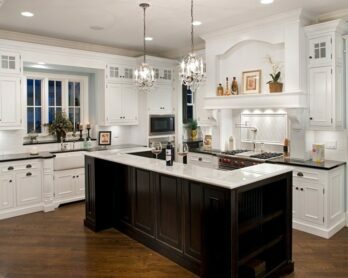 Try to set the ones your family uses most often in a porcelain jar on the counter. 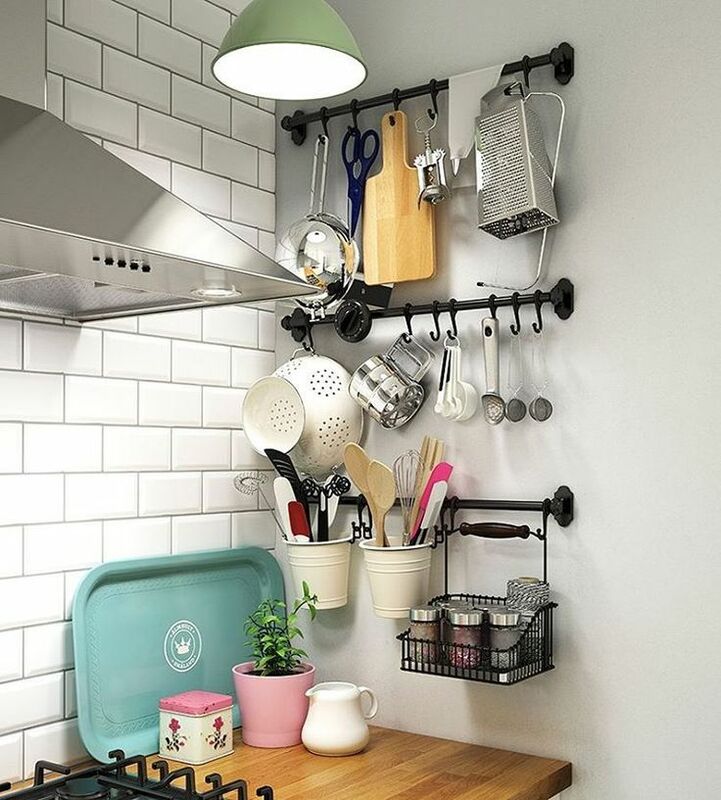 It’s okay to try a variety of different organizational approaches when tackling the clutter in the kitchen. These tips are some of the most universal. Still what works for most families may not work for yours. You should try out new organizational systems for a few weeks. Feel free to adapt them to fit their needs. 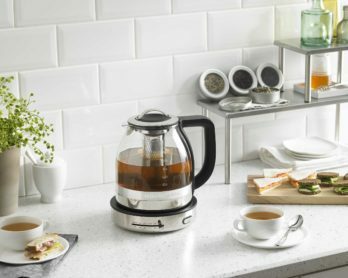 Do Kitchen Gadgets Really Save Time?